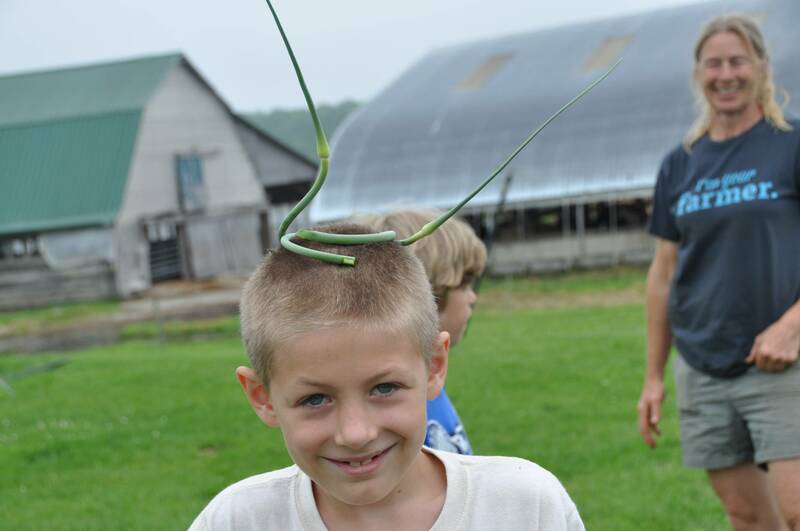 Celebrate your child’s birthday with a fun and educational farm experience they will always remember. For children turning 5 or older will spend 1 ½ hour touring our farm to meet and feed our animals, collect eggs and milk a cow! Chickens – learn about the many varieties chickens on our farm, even the ones that lay blue eggs. End the experience by playing an egg race. Don’t worry these eggs won’t break! Cow – Be a real farmer and learn how to milk Dana, our very special cow. End the session making cool cow craft. Return from your tour for the last 1 ½ for your party in either Cassidy’s Kitchen or our outdoor eating area. We provide the table and seating. You provide the food and refreshments: party supplies and decorations and 2 adult for supervision. Bonus: birthday child receives a special, personal birthday pennant to remember the day. Looking for a little something more? Add one of these to your farm experience.